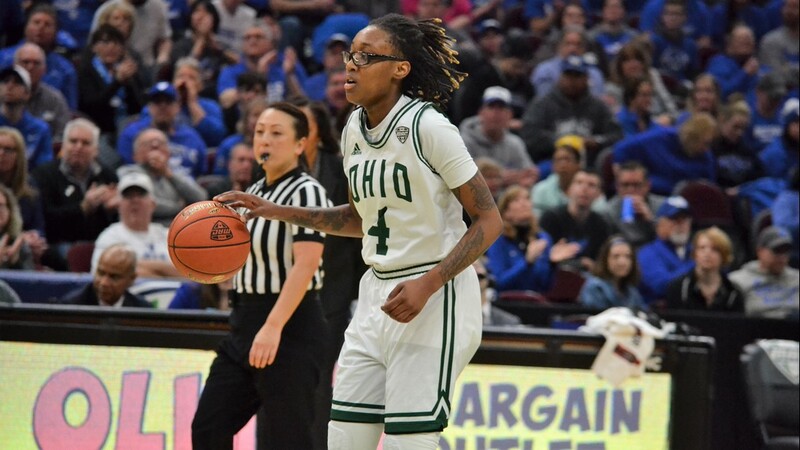 Ohio University sophomore guard Cece Hooks looks to pass to a teammate against the Buffalo Bulls during the 2019 Mid-American Conference Tournament Championship Game at Quicken Loans Arena in Cleveland Saturday, March 16, 2019. 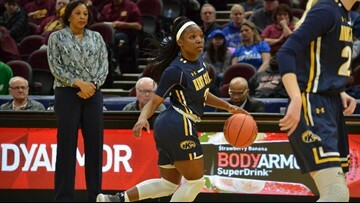 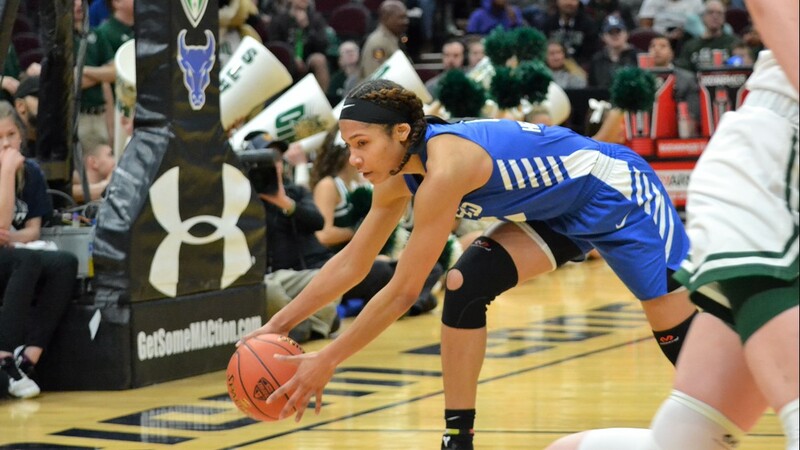 Buffalo junior forward Summer Hemphill controls one of her tournament-record 21 rebounds during the 2019 Mid-American Conference Tournament Championship Game against Ohio University at Quicken Loans Arena in Cleveland Saturday, March 16, 2019. 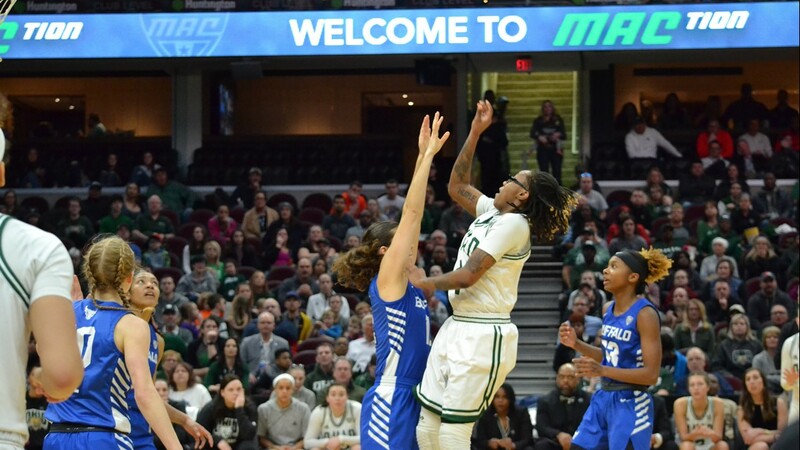 Ohio University sophomore guard Cece Hooks drives to the hoop against a Buffalo defender during the 2019 Mid-American Conference Tournament Championship Game at Quicken Loans Arena in Cleveland Saturday, March 16, 2019. 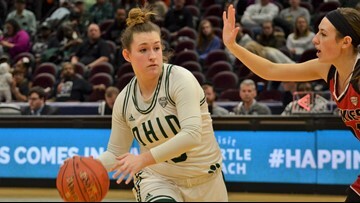 An Ohio University cheerleader revs up the crowd during the 2019 Mid-American Conference Tournament Championship Game against the Buffalo Bulls at Quicken Loans Arena in Cleveland Saturday, March 16, 2019. 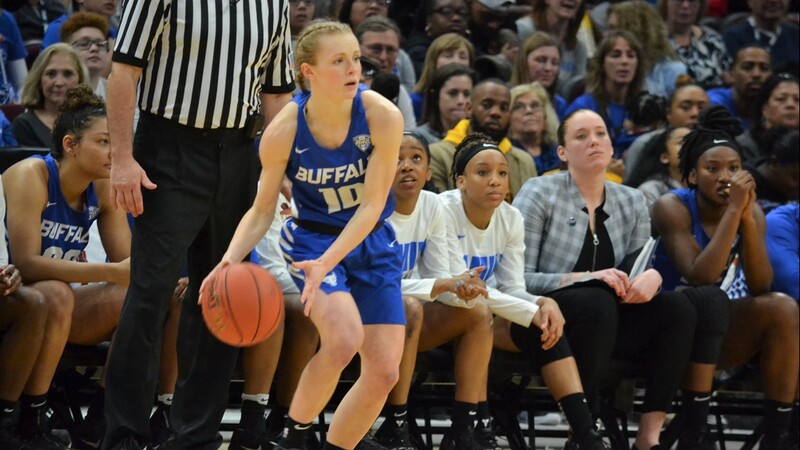 Buffalo sophomore guard Hanna Hill looks to pass against the Ohio University Bobcats in the 2019 Mid-American Conference Tournament Championship Game at Quicken Loans Arena in Cleveland Saturday, March 16, 2019. 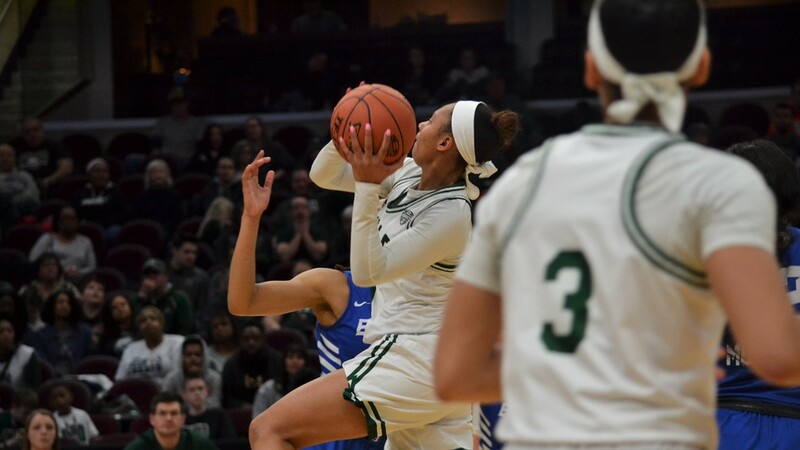 Ohio University redshirt freshman guard Erica Johnson raises up for a shot against the Buffalo Bulls during the 2019 Mid-American Conference Tournament Championship Game at Quicken Loans Arena in Cleveland Saturday, March 16, 2019. 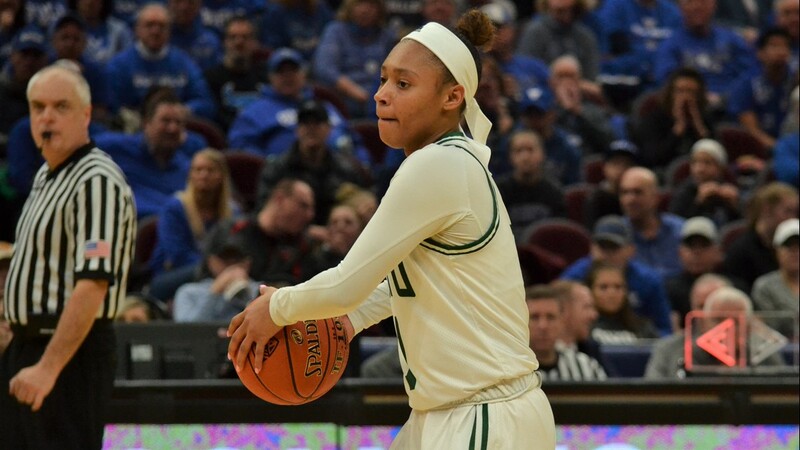 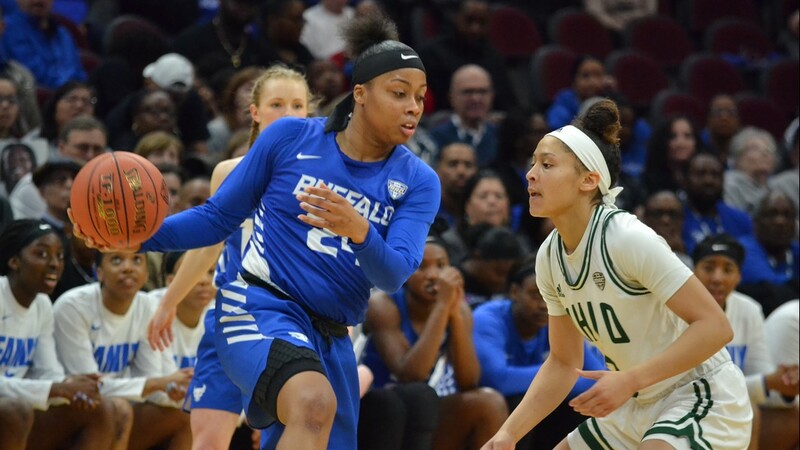 The Ohio University Bobcats fell to the Buffalo Bulls, 77-61, in the 2019 Mid-American Conference Women's Basketball Tournament Championship Game. 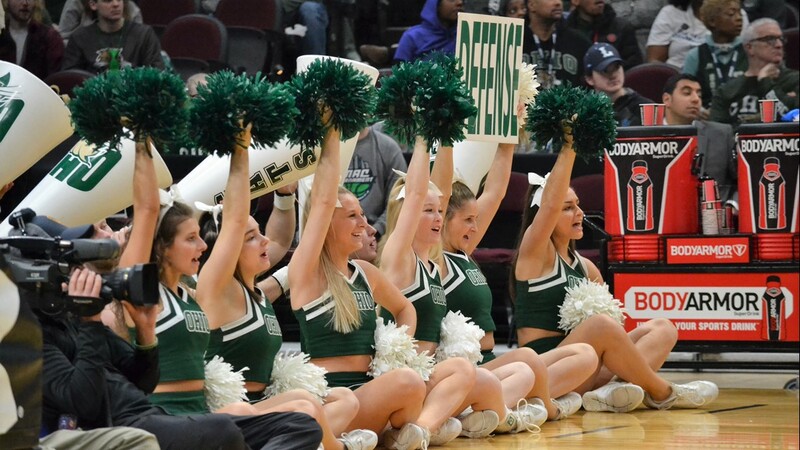 The Ohio University cheerleading squad celebrates a basket against the Buffalo Bulls during the 2019 Mid-American Conference Tournament Championship Game at Quicken Loans Arena in Cleveland Saturday, March 16, 2019. 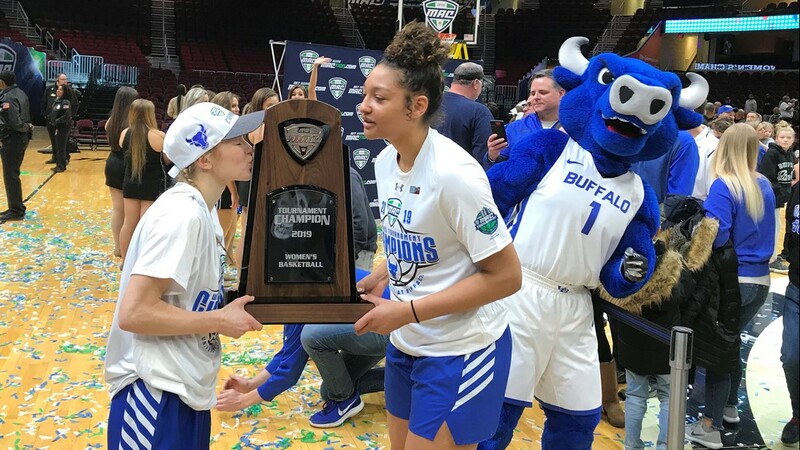 Victor E. Bull, the Buffalo Bulls mascot, entertains the fans during the 2019 Mid-American Conference Tournament Championship Game against Ohio University at Quicken Loans Arena in Cleveland Saturday, March 16, 2019. 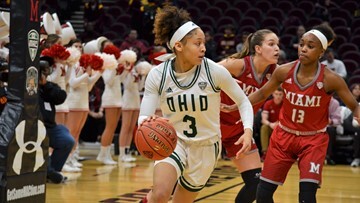 Ohio University redshirt freshman guard Erica Johnson dribbles the ball up the floor against the Buffalo Bills during the 2019 Mid-American Conference Tournament Championship Game at Quicken Loans Arena in Cleveland Saturday, March 16, 2019. 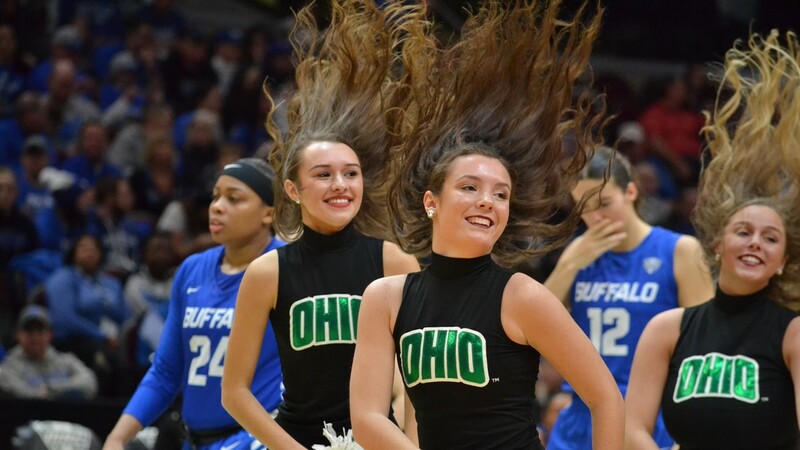 The Ohio University dance team cheers against the Buffalo Bulls during the 2019 Mid-American Conference Tournament Championship Game at Quicken Loans Arena in Cleveland Saturday, March 16, 2019. 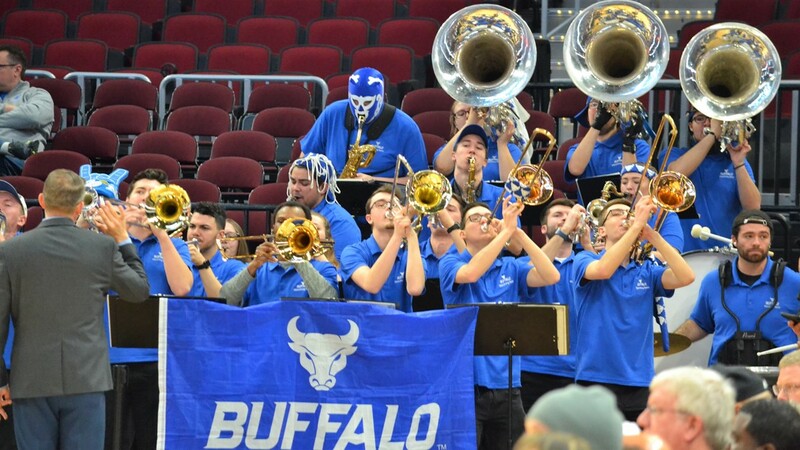 The Buffalo pep band entertains the crowd during a break in the action in the 2019 Mid-American Conference Tournament Championship Game against Ohio University at Quicken Loans Arena in Cleveland Saturday, March 16, 2019. 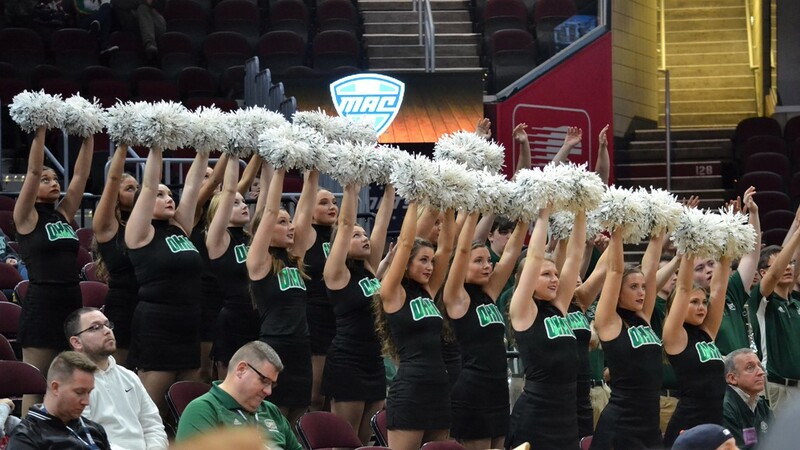 Members of the Ohio University dance team entertain the crowd during the 2019 Mid-American Conference Tournament Championship Game at Quicken Loans Arena in Cleveland Saturday, March 16, 2019. 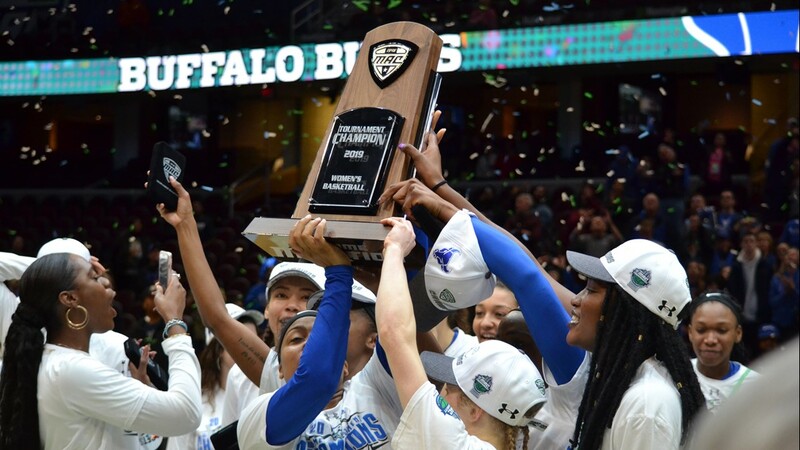 The Buffalo Bulls celebrate after defeated the Ohio University Bobcats in the 2019 Mid-American Conference Tournament Championship Game at Quicken Loans Arena in Cleveland Saturday, March 16, 2019. 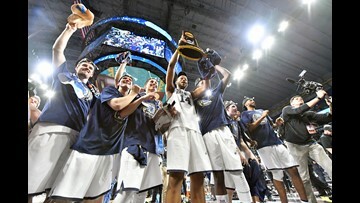 Members of the Buffalo Bulls kiss the trophy after their win over Ohio University in the 2019 Mid-American Conference Tournament Championship Game at Quicken Loans Arena in Cleveland Saturday, March 16, 2019. 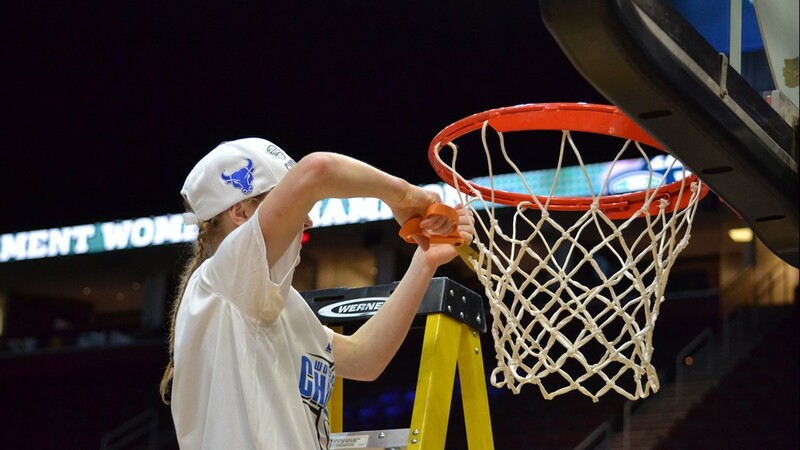 Buffalo sophomore guard Hanna Hall cuts a piece of the net after the 2019 Mid-American Conference Tournament Championship Game against Ohio University at Quicken Loans Arena in Cleveland Saturday, March 16, 2019. 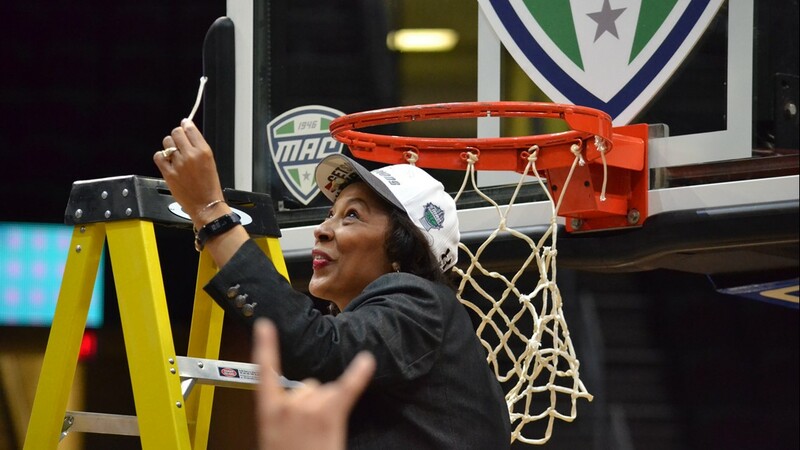 Buffalo Bulls coach Felisha Legette-Jack holds up a piece of the net to the cheers of fans after the 2019 Mid-American Conference Tournament Championship Game at Quicken Loans Arena in Cleveland Saturday, March 16, 2019. 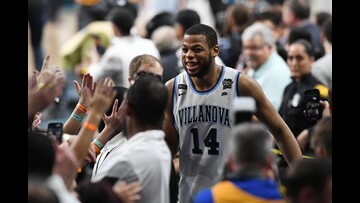 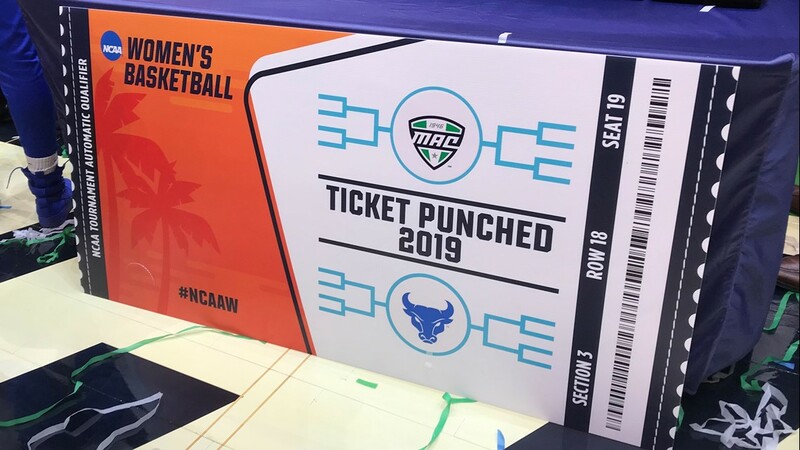 The Buffalo Bulls are going dancing in the NCAA Tournament after winning the 2019 Mid-American Conference Tournament Championship Game against Ohio University at Quicken Loans Arena in Cleveland Saturday, March 16, 2019.